Biogeography is the study of the geographic distribution of taxa and their attributes in space and time. Investigating biogeographic patterns and processes requires considerable amounts of data collected over large spatial and/or temporal scales. Evolutionary biogeography integrates distributional, phylogenetic, molecular and paleontological data in order to discover biogeographic patterns and assess the historical changes that have shaped them, following a step-wise approach. 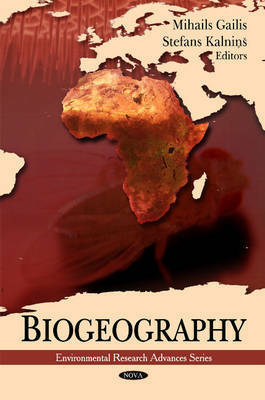 This book aims to understand the biogeography of the Drosophilidae in Africa and in other regions. This book also examines the development of preventive and educational components of conservation biogeography. The relevance of biogeographical evolutionary analyses for conservation science is discussed as well. In addition, the general methods that can be applied to prioritise areas for protection at regional global scales are also briefly commented on and exemplified with Mexico as a case study.